What will Congress do about DACA? They brought you to the United States when you were just a toddler, but they didn’t have visas. You don’t have a social security number either. Employers aren’t allowed to hire you, and many colleges aren’t allowed to give you financial aid. Any day — this morning? tomorrow after school? — government agents could take you from your home and send you to a country you don’t remember. That’s what it meant to be a Dreamer. Then on June 15, 2012, the Obama Administration launched a program called “Deferred Action for Childhood Arrivals,” or DACA. Until Sept. 5, 2017, when the Trump Administration announced its plan to dismantle DACA over the next six months. What will happen to the Dreamers now? What will Congress do about it, and when? There are nearly 800,000 Dreamers in the DACA program right now, and they won’t lose all of their privileges and protections at once. 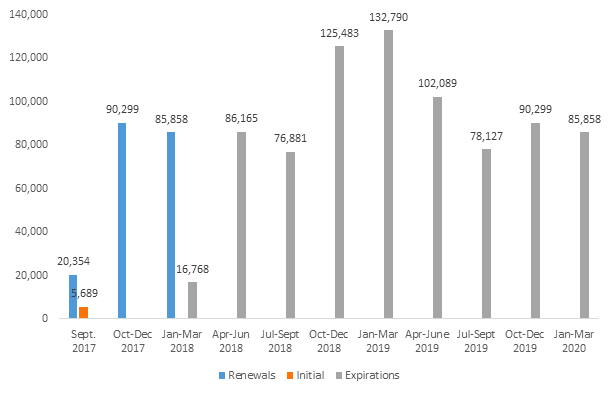 In fact, the Department of Homeland Security (DHS) opted to keep accepting some two-year DACA renewal applications for one more month, which means a huge scramble among the nearly 200,000 Dreamers whose DACA was set to expire before the program ceases to exist. Setting aside the palace intrigue over how and why the Trump Administration decided to terminate a program that’s supported by the overwhelming majority of business leaders, faith leaders, and law enforcement officials, let alone 76% of voters. A program that has empowered hundreds of thousands of young people to go to college and earn higher wages, and was poised to generate at least $280 billion of economic growth over the next decade. What’s done is done, unless Congress takes action. Even in today’s era of legislative dysfunction, it’s not entirely accurate to say that Congress gets nothing done. Congress is like a procrastinating college student who dawdles and dawdles over a big term paper, maybe even gets an extension, but when finally faced with the prospect of a big red Fail, stays up all night to grind out a good-enough solution. In Washington, there is a reigning metaphor for real-deal deadlines faced by Congress: the Cliff. Just yesterday, Congress swerved to avoid a Fiscal Cliff (funding the government to prevent a government shutdown) and a Debt Ceiling Cliff (raising the government’s borrowing limit to prevent a global financial crisis). Tax Cliffs are also a common geological feature of Congress—lawmakers tend to take action when voters’ taxes would otherwise shoot up (or businesses’ tax breaks would otherwise dry up). And now, the Trump Administration just created a Dreamer Cliff, looming six months away: unless Congress takes action by then, Americans across the country will confront the ugly spectacle of 1,000 Dreamers getting kicked out of their jobs, their universities, even this country, every single day from March onward. Of course, sometimes Congress does careen right over a cliff. Lawmakers let the government shut down in 2013, let the debt ceiling get wobbly in 2011, and let austere budget caps snap into place in 2013. But then, consider what happened next: The government shutdown caused so much obvious front-page pain that it only lasted 16 days. After America’s credit rating was downgraded for the first time in history, the debt ceiling has seen somewhat less mischief. And even the budget caps are perhaps the exception that proves the rule—we’re still living under them, perhaps because the downsides are too diffuse to make headlines. It’s one cliff Congress could live with. We know that Congress effectively requires a cliff to get things done, but we also know that it’s sometimes willing to drive off the edge. Which way will Congress go as the Dreamer Cliff approaches? Unfortunately it’s always an 11th-hour nail-biter, which means misery for everyone on DACA until the edge of the cliff is in clear view. Major reforms to the U.S. immigration system tend to happen once in a generation, with many more failed attempts in between. In large measure that’s because once Congress opens up the possibility of reform, everybody wants something, so deals pile upon deals until there’s a “Grand Bargain” or nothing at all. Congress is very bad at seizing new opportunities, but very keen on avoiding new pain. That’s why a “Grand Bargain” on immigration this year is an abject fantasy, but a solution for Dreamers has a chance. Democrats who liked DACA all along: If they had their way, all Dreamers would become eligible for green cards and ultimately U.S. citizenship. Problem solved. Republicans who hated DACA all along: Cliff? What cliff? The Executive Branch never had the authority to provide relief to Dreamers, and Congress shouldn’t help them either. But now that Dreamers’ livelihoods are on the line, talk is no longer cheap. In theory, at least, there’s a face-saving way forward for that last category of lawmakers: Pass a bill that provides some measure of relief for Dreamers (maybe green cards, maybe something more temporary), and celebrate the restoration of Congressional authority over President Obama’s alleged executive overreach. It’s not ludicrous to imagine getting the necessary 60-vote supermajority in the Senate that way. But even though only a simple majority (218 votes) is required in the House of Representatives, that’s probably much harder—because the immigration hard-liner camp is bigger, and can threaten the Speaker if he dares to cut a deal with Democrats. Maybe it’s also not ludicrous to imagine some kind of trade to mollify those lawmakers who want to look tough on immigration. Some relief for Dreamers plus some funding for Both sides would have to hold their noses, but that’s how a non-grand bargain could work. Meanwhile, firmly in the ludicrous zone: Giving green cards to 800,000 Dreamers (once) in exchange for taking away 500,000 green cards from future immigrants (every year forever). Do you like the sound of that deal? Two Senators have a bridge to sell you. Dreamers live and work in nearly every community in America. Their stories are sympathetic and inspiring. And they are extremely well-organized. 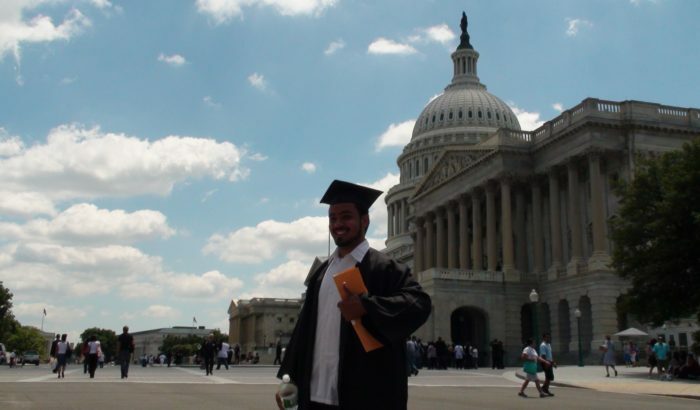 The first DREAM Act was proposed in Congress nearly two decades ago. The last big push to pass a standalone bill to protect Dreamers was in 2010, when Democrats failed to rally enough votes in the Senate. This was a devastating setback, but the Dreamers and their allies stayed organized and kept up the pressure. 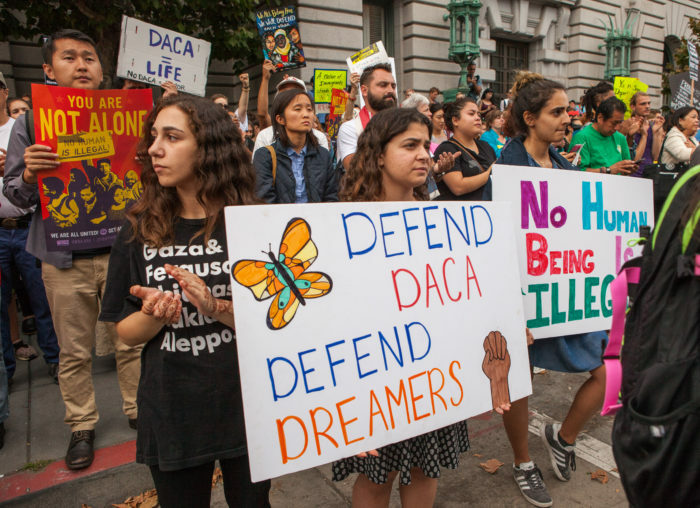 The Dreamers are why DACA exists in the first place, and now they have shown all Americans what they can achieve when given the chance to live without fear in the country they call home.